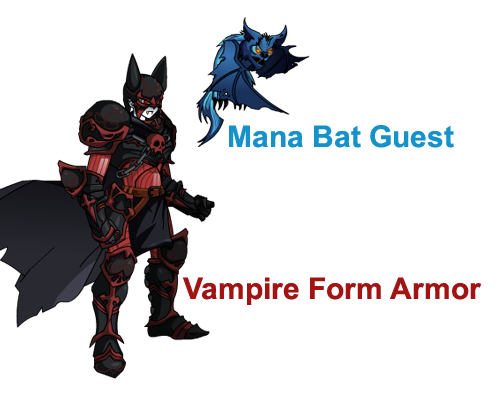 Vampire Form Armor and Mana Bat are coming this week! • Channel tthe power of the Vampire and spend HP to boost your attack power! • The Mana Bat can siphon off your enemy’s MP and add it to your pool!